Bupleurum (Bupleurum Chinense ) other names: Bei Chai Hu, Bupleuri, Bupleurum Chinese, Bupleurum chinense, Bupleurum exaltatum, Bupleurum falcatum, Bupleurum fruticosum, Bupleurum longifolium, Bupleurum multinerve, Bupleurum octoradiatum, Bupleurum rotundifolium, Bupleurum scorzonerifolium, Buplèvre, Buplèvre Chinois, Buplèvre à Feuilles Rondes, Buplèvre à Feuilles de Scorsonère, Buplèvre à Longues Feuilles, Buplèvre Ligneux, Chai Hu, Chi Hu, Chinese Bupleurum, Chinese Thoroughwax, Hare's Ear Root, Radix Bupleuri, Saiko, Shrubby Hare's-ear, Sickle-leaf Hare's-ear, Thoroughwax. The plant commonly called by names such as the Chinese thorough wax or the bupleurum is an herb native to parts of East Asia. The bupleurum is a perennial herb, which tends to grow in wild profuse patches along the sunny sides of sedge thickets in many areas of East Asia. The bupleurum is characterized by the presence of many broad linear to lanceolate shaped leaves arranged in an alternative array along the stem. The shape of the leaves are peculiar, with acuminate shape apexes having a gradually tapering base, morphologically the leaves are also characterized by having parallel running veins which run seven to nine inches thick and the leaf margins are intact without any peculiar edges. 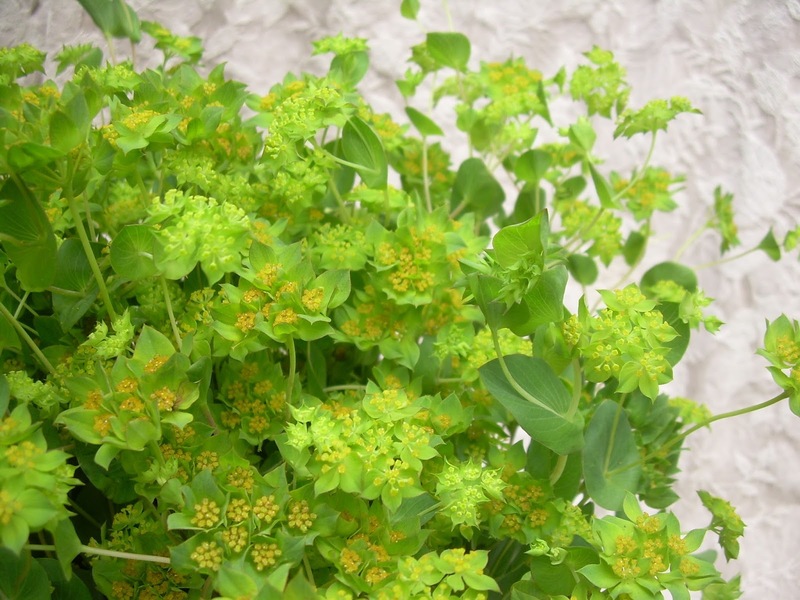 The bupleurum also bears a lot of small and golden colored flowers during the autumn, these tend to be placed at terminal or axillary positions and develop as compound umbellate inflorescences on the plant body. An elliptical or flat shape characterizes the seed capsule borne on the herb following the floral bloom. The bupleurum initially appears in the literature of ancient China as one of China's so called “harmony” herbs and is recorded as a distinct plant in herbal treatise dating to the first century BC. The Chinese "harmony" herbs are a class of plants believed to be involved in maintaining the internal energies within the body of a person and aiding in the maintenance of a balance among all the different organs inside the body. The bupleurum is traditionally used as an herbal tonic remedy to bring about improved functioning of the liver; it has a strengthening action on the performance of the digestive tract and is believed to aid the body by rushing blood to the surface of the body in patients affected by circulatory problems. The beneficial effects traditionally attributed to the herb, specifically its protective action on the liver has been confirmed in the course of recent researches carried out in Japan. Thus the traditional beneficial effects attributed to the herb do have a basis in fact. Ancient Chinese medical texts dating back to two millennia mention the use of the bupleurum as an herbal tonic for the treatment and strengthening of the liver. As an herbal tonic, the bupleurum is traditionally held in China, as possessing a tonic effect over the spleen and the stomach and is also thought to strengthen the liver qi. The situation of “disharmony” between the liver and the spleen is thought to be alleviated by remedies made from the bupleurum in the Chinese medical lore, symptoms such as the presence of acute abdominal pain, bloating in the stomach, the appearance of nausea, and persistent indigestion are all linked to this "disharmony" between the spleen and the liver. In the Chinese system of medicine, a physically weakened liver or a poorly functioning liver is believed to be ideally and effectively treatable using the bupleurum herb alone, this is a property the herb shares with other more common herbs like the milk thistle and all the species of the plant genus Glycyrrhiza - the gan cao herb and licorice herb are suitable examples of this genera. Liver conditions and diseases are easily dealt with due to the strong anti-inflammatory action possessed by the herb; this property of the bupleurum is believed to be a major contributory factor in its ability to heal liver disorders. The treatment of a persistent fever is also normally undertaken in Chinese medicine by giving the patient a bupleurum based remedy, particularly when the fever is accompanied by the presence of a bitter taste in the mouth of the patient, and if there are other tell tale symptoms such as constant irritability, accompanied either by vomiting and abdominal pain, or by spells of dizziness and sudden vertigo at unexpected moments. The treatment of more serious disease such as bone cancer might also be possible by using extracts of the bupleurum. 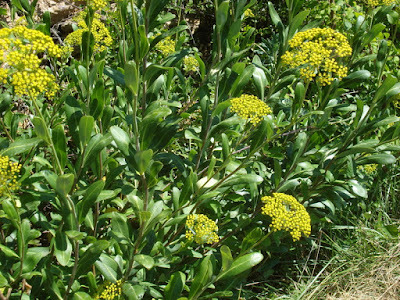 Some of the other disorders and conditions in which remedies made from the bupleurum have at times been proven to be effective include the treatment of hemorrhoids and the treatment of prolapsed tissues in the pelvic region, the herb has also been used in the treatment of uterus prolapse in affected women. “Auto-immune diseases” such as multiple sclerosis (MS), lupus (systemic lupus erythematosus, SLE), rheumatoid arthritis (RA), or other conditions: Bupleurum might cause the immune system to become more active, and this could increase the symptoms of auto-immune diseases. If you have one of these conditions, it’s best to avoid using bupleurum.